PRICED TO SELL! 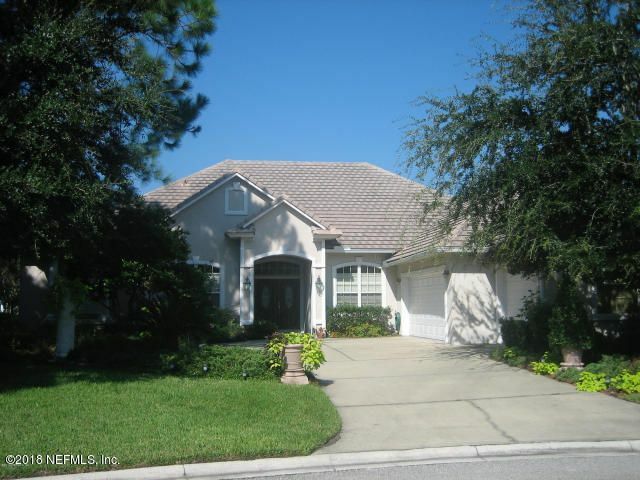 THIS HM IS THE LOWEST PRICE PER SQ FT (NOT BANK OWNED) HM W/ A VIEW IN THE PRESTIGIOUS PLANTATION AT PONTE VEDRA. SITUATED IN A QUIET CUL-DE-SAC OVERLOOKING A SPARKLING LAKE, THE HOME OFFERS A MASTER, OFC/4TH BDRM & 2 ADDT'L BDRMS W/ A JACK & JILL BTH ON THE 1ST FLR & A LG 5TH BDRM/BONUS W/ EN SUITE BTH ON THE 2ND FLR. THE KITCHEN OPENS TO THE FAM RM W/ WOOD BURNING FP & WALLS OF WINDOWS THAT OVERLOOK A SPARKLING LAKE. 3 CAR GARAGE, NEW DISHWASHER & STAINLESS STEEL REFRIGERATOR. PRICED TO SELL SO THE NEW BUYER CAN MAKE THE INTERIOR UPDATES THAT THIS ESTATE HOME DESERVES. LUXURIATE IN THE MEMBER ONLY PLANTATION LIFESTYLE INCLUDING GOLF, TENNIS, CROQUET, FITNESS CENTER, BASKETBALL COURT, PLAYGROUND & BEACH HOUSE! This home has been on the market since Feb 09,2018. Courtesy of COUNTRY CLUB REAL ESTATE.